A few days back, a historical feature on WhatsApp was launched which allows everyone to delete the sent messages on WhatsApp. Users were too happy as they got a way to delete the embarrassing sent messages. But according to a report, WhatsApp messages which are deleted by using the feature are actually kept on the device and can be readily accessed. So if you are curious to know the actual messages sent by the recipient which is deleted now than keep reading the post. To do that your Android device should be running on Lollipop 5.0 or higher version. 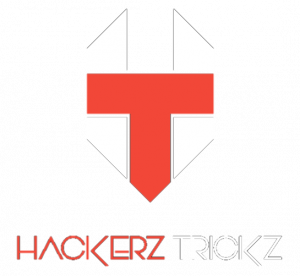 If your Device is having lower version than you can upgrade it by flashing a custom rom. Without wasting much time, let’s get started to the steps. It is all going to possible with an App called “WA Delete for Everyone”. Its a newly launched App which has hardly completed 100 downloads but after checking it with multiple messages I can make you sure that its 100% working & safe to use. You can set the size of messages characters from 25 to unlimited. 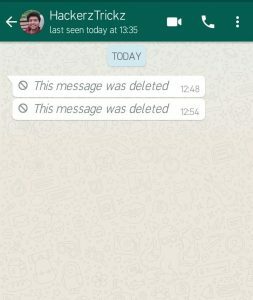 It shows all the deleted messages on one screen. It only works for text messages. Hence, you can’t checked deleted media or audio messages. Sometimes it doesn’t show the deleted messages. It will only work when you didn’t read the sender’s message yet. 1. First of all, Download & Install the App called “WA Delete for Everyone” on your Android Smartphone. 2. Open it up, and it will ask you for some permission, allow it. Wait for sometime as this App takes time to get activated. 3. Now whenever someone deletes the sent WhatsApp message, you will able to read it through the App. 4. For Example – Here I have received a message, but I was late as it is deleted for everyone. As WhatsApp is showing “this message was deleted”, I will open the “WA Delete for Everyone” App. Now the App will show the deleted message with the exact time stamp. It will also show when the message was deleted. 5. Also, there’s no condition like if the message is small then only if you will able to read it. There are no problem for the message size. Basically it’s a WhatsApp bug which let you read the deleted messages by using the Apps which keeps the tracks of your notifications. 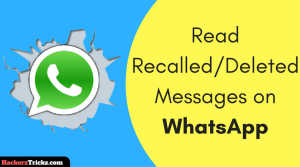 Maybe in future, WhatsApp will fix the bug and maybe you will not able to read the deleted messages but till then use the trick mentioned in this article and share it as much you can. 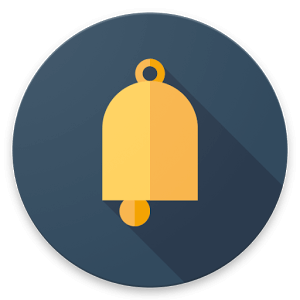 In case, if you are facing problems with this App than you can try the “Notification History Log” App which is developed by the same developer ikva eSolutions who has created the “WA Delete for Everyone”. The process to set up the App is easy, you just have to allow some permissions, and when someone will send you a WhatsApp message and deletes it, you will able to see the message in this App. It works on almost all Android smartphone running on KitKat or above. The “Advanced History” feature of the App shows advanced details like app name, package name, notification time, App notification icon, title and description of the notification. What we found is that the messages are stored in the notification register of the Android system. So, it’s just a matter of entering that record to see the messages that the other person deleted. The Notification History application is a shortcut to that record. Sooner or later, WhatsApp will fix the bug, so share this post with your friends, family and let them enjoy this bug. 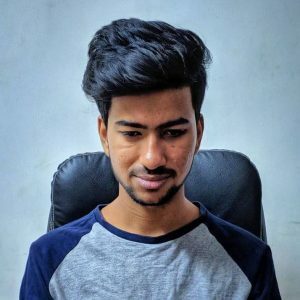 How to Earn Money with StudyBay Affiliate Program?